I know from bitter experience what a horrible position it is to seek to serve God when your heart is not in it: to try to serve him when you have lost your first love. This new book, with the subtitle Cultivating love on the inside, really helps us to maintain our relationship with God. Graham Beynon’s answer is heart surgery – keep returning to the gospel, let it shape your heart. 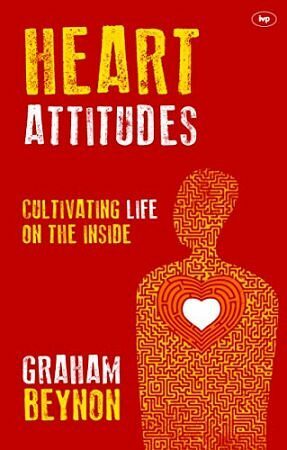 The book deals with nine heart attitudes: Love, fear, joy, peace, humility, confidence, thankfulness, contentment and hope. My favourite story is that of James, who became a Christian at university. In an interview in church soon after he was converted, James told how he had always had the ambition of making it in life, of being rich. When he became a Christian he realised he had become rich beyond his dreams! It is a great book of 176 pages, easy to read, and costs only £6.99 in EMW bookshops! Steve Potts is a member of Bethel Baptist Church in Barry, and the manager of the Bridgend Christian Bookshop.